Welcome to the EWEBAVENUE, LLC (“EWEBAVENUE, LLC”) Web site (the “Web site”). Please review the following terms and conditions concerning your use of the Web site. By accessing, using or downloading any materials from the Web site, you agree to follow and be bound by these terms and conditions (the “Terms”). EWEBAVENUE, LLC reserves the right to change the Terms at any time and in its sole discretion. In case of any violation of the Terms, EWEBAVENUE, LLC reserves the right to seek all remedies available to it in law and in equity. In order to access and use any EWEBAVENUE, LLC product, you must agree to the terms of The EWEBAVENUE, LLC Software License and Services Agreement. You acknowledge that all materials provided on this Web site, including but not limited to information, documents, products, logos, graphics, sounds, images, software, and services (“Materials”), are provided either by EWEBAVENUE, LLC or by their respective third party authors, developers and vendors (“Third Party Providers”) and the underlying intellectual property rights are owned by EWEBAVENUE, LLC and/or its Third Party Providers. Elements of the Web site are protected by trade dress and other laws and may not be copied or imitated in whole or in part. EWEBAVENUE, LLC and EWEBAVENUE, LLC logos referenced herein are trademarks of EWEBAVENUE, LLC, and may be registered in certain jurisdictions. All other product names, company names, marks, logos, and symbols may be the trademarks of their respective owners. Subject to the terms and conditions of this Agreement, EWEBAVENUE, LLC hereby grants you permission to display, cache, and download EWEBAVENUE, LLC’s Materials on this Web site provided that: (1) you display the relevant ownership notices provided with the Materials; (2) Except as provided in a separately executed EWEBAVENUE, LLC Software License and Services Agreement between you and EWEBAVENUE, LLC, the use of such Materials is solely for your personal, non-commercial and informational use and will not be used for commercial gain; and (3) the Materials are not modified in any way. This permission terminates automatically without notice if you breach any of these terms or conditions. Except as stated herein, none of the Materials may be copied, reproduced, distributed, republished, downloaded, displayed, posted or transmitted in any form or by any means, including but not limited to electronic, mechanical, photocopying, recording, or other means, without the prior express written permission of EWEBAVENUE, LLC or the Third Party Provider. Also, you may not “mirror” any Materials contained on this Web site on any other server without EWEBAVENUE, LLC’s prior express written permission. Except where expressly provided otherwise by EWEBAVENUE, LLC, nothing on this Web site shall be construed to confer any license under any of EWEBAVENUE, LLC’s or any Third Party Provider’s intellectual property rights, whether by estoppel, implication, or otherwise. You acknowledge sole responsibility for obtaining any such licenses. Materials provided by Third Party Providers have not been independently reviewed, tested, certified, or authenticated in whole or in part by EWEBAVENUE, LLC. EWEBAVENUE, LLC does not provide, sell, license, or lease any of the Materials other than those specifically identified as being provided by EWEBAVENUE, LLC. EWEBAVENUE, LLC may modify or discontinue its Web site or the Materials provided here at any time, with or without notice to you. EWEBAVENUE, LLC will not be liable to you or any third party as a result of such modification or discontinuation. EWEBAVENUE, LLC reserves the right, in its sole discretion and at any time, to terminate your access to the Web site and/or any of its services without liability to you or any third-party. In addition, access to the Web site may be monitored by EWEBAVENUE, LLC. Upon termination of these Terms, you will immediately destroy any downloaded or printed Materials. This Web site may contain links to Web sites controlled by parties other than EWEBAVENUE, LLC. EWEBAVENUE, LLC is not responsible for and does not endorse or accept any responsibility for the contents or use of these third party Web sites. EWEBAVENUE, LLC is providing these links to you only as a convenience, and the inclusion of any link does not imply endorsement by EWEBAVENUE, LLC of the linked Web site. You should refer to the policies posted by other Web sites regarding privacy and other topics before you use them. It is your responsibility to take precautions to ensure that whatever you select for your use is free of viruses or other items of a destructive nature. Except where expressly provided otherwise by EWEBAVENUE, LLC, all comments, feedback, information or materials submitted to EWEBAVENUE, LLC through or in association with this Web site (“Submissions”) shall be considered non-confidential and EWEBAVENUE, LLC’s property. By providing such Submissions to EWEBAVENUE, LLC, you agree to assign to EWEBAVENUE, LLC, at no charge, all worldwide rights, title and interest in copyrights and other intellectual property rights to the Submissions. EWEBAVENUE, LLC shall be free to use and/or disseminate such Submissions on an unrestricted basis for any purpose. You acknowledge that you are responsible for the Submissions that you provide, and that you, not EWEBAVENUE, LLC, have full responsibility for the Submissions, including their legality, reliability, appropriateness, originality and copyright. THE MATERIALS ON THE WEB SITE ARE PROVIDED “AS IS”, ARE EXPERIMENTAL, AND ARE FOR COMMERCIAL USE ONLY, AND EWEBAVENUE, LLC HEREBY DISCLAIMS ALL EXPRESS OR IMPLIED REPRESENTATIONS, WARRANTIES, GUARANTIES, AND CONDITIONS, INCLUDING BUT NOT LIMITED TO ANY IMPLIED WARRANTIES OR CONDITIONS OF MERCHANTABILITY, FITNESS FOR A PARTICULAR PURPOSE, TITLE AND NON-INFRINGEMENT, EXCEPT TO THE EXTENT THAT SUCH DISCLAIMERS ARE HELD TO BE LEGALLY INVALID. EWEBAVENUE, LLC MAKES NO REPRESENTATIONS, WARRANTIES, GUARANTIES, OR CONDITIONS AS TO THE QUALITY, SUITABILITY, TRUTH, ACCURACY, OR COMPLETENESS OF ANY OF THE MATERIALS CONTAINED ON THE WEB SITE OR ANY OTHER WEB SITE REFERENCED BY THIS WEB SITE. 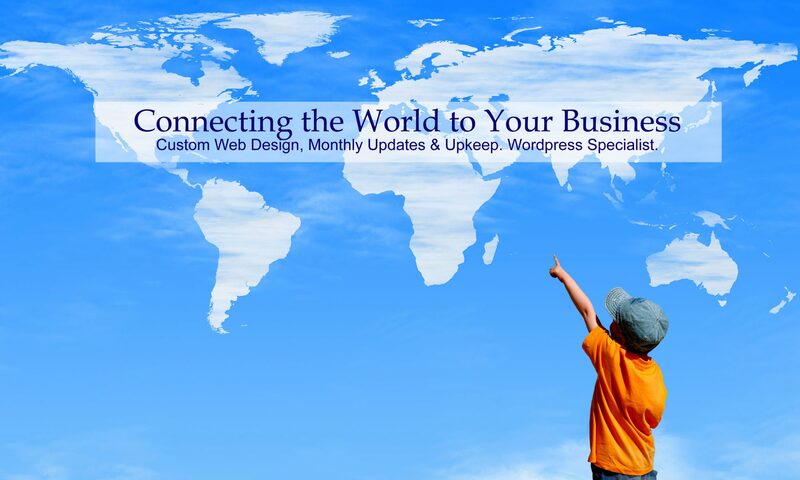 IF YOU ARE NOT SATISFIED WITH OUR WEB SITE, YOUR SOLE REMEDY IS TO DISCONTINUE YOUR USE OF THE WEB SITE. EWEBAVENUE, LLC SHALL NOT BE LIABLE FOR ANY DAMAGES SUFFERED AS A RESULT OF USING, MODIFYING, CONTRIBUTING, COPYING, DISTRIBUTING, OR DOWNLOADING THE MATERIALS, OR USE OR INABILITY TO USE THE WEB SITE. IN NO EVENT SHALL EWEBAVENUE, LLC BE LIABLE FOR ANY INDIRECT, PUNITIVE, SPECIAL, INCIDENTAL, OR CONSEQUENTIAL DAMAGE (INCLUDING BUT NOT LIMITED TO LOSS OF BUSINESS, REVENUE, PROFITS, USE, DATA OR OTHER ECONOMIC ADVANTAGE), HOWEVER IT ARISES, WHETHER IN AN ACTION OF CONTRACT, NEGLIGENCE OR OTHER TORTUOUS ACTION, ARISING OUT OF OR IN CONNECTION WITH THE USE OR PERFORMANCE OF INFORMATION AVAILABLE FROM THIS WEB SITE, EVEN IF EWEBAVENUE, LLC HAS BEEN PREVIOUSLY ADVISED OF THE POSSIBILITY OF SUCH DAMAGE. YOU HAVE SOLE RESPONSIBILITY FOR THE ADEQUATE PROTECTION AND BACKUP OF DATA AND/OR EQUIPMENT USED IN CONNECTION WITH THE WEB SITE AND YOU WILL NOT MAKE A CLAIM AGAINST EWEBAVENUE, LLC FOR LOST DATA, RE-RUN TIME, INACCURATE OUTPUT, WORK DELAYS, OR LOST PROFITS RESULTING FROM THE USE OF THE MATERIALS. YOU AGREE TO HOLD EWEBAVENUE, LLC HARMLESS FROM, AND YOU COVENANT NOT TO SUE EWEBAVENUE, LLC FOR, ANY CLAIMS BASED ON OR RELATED TO THE USE OF THE WEB SITE. THE EFFECTIVENESS OF THESE LIMITATIONS IS AN EXPRESS PRECONDITION TO YOUR USE OF THIS WEB SITE. In exchange for accepting the benefits you receive by accessing this Web site, you agree to defend, indemnify, and hold harmless EWEBAVENUE, LLC, its officers, directors, employees, agents, and partners, from and against any claims, actions, or demands, including without limitation reasonable legal and accounting fees, made by any third party due to or resulting from your use of the Web site, your violation of these Terms, or your violation of any laws, regulations, or third-party rights. These Terms will be governed by and construed in accordance with the laws of the District of Columbia, the State of Maryland, or the State of Virginia depending on site location excluding that body of law governing conflict of laws. Any legal action or proceeding relating to or arising out of these Terms or your use of the Web site will be brought in a federal or state court in the District of Columbia, Maryland, or Virginia, and you submit to the venue and personal jurisdiction of such court. If any provision of these Terms is held to be invalid or unenforceable, such provision will be enforced to the greatest extent possible and the remaining provisions will remain in full force and effect. Headings are for reference purposes only and in no way define, limit, construe, or describe the scope or extent of such section. Our failure to act with respect to a breach by you or others does not waive our right to act with respect to subsequent or similar breaches. Except for other agreements or terms appearing on the Web site, these Terms set forth the entire understanding and agreement between us with respect to the subject matter hereof. Any questions relating to this Web site may be directed to info@EWEBAVENUE, LLC.com. Copyright Notice. The documents and information on this Site are copyrighted materials of EWEBAVENUE, LLC and its information providers. Reproduction or storage of materials retrieved from this Site is subject to the U.S. Copyright Act of 1976, Title 17 U.S.C. except as expressly provided herein. EWEBAVENUE, LLC and its information providers do not grant any express or implied right under any patents, copyrights, trademarks, or trade secret information.